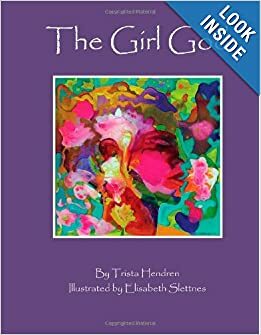 Great Books on the Feminine Divine by Trista Hendren! I have both of these books to share with my sons, and in classes I teach in my holistic health education series and workshops. I want my sons to grow up recognizing the divine in women, in everyone. So far, at 12 and 15, I think they deeply understand! I am grateful to Trista for these books as it is another voice speaking to my sons, not just Mom. Blessing Trista for the "work" you do in this world! A magically illustrated children's book celebrating the Divine Feminine. The Girl God is a story about how I was able to relate spirituality back to my daughter in words she could understand. The Girl God contains 36 paintings by renowned Norwegian artist Elisabeth Slettnes. The book also contains 36 quotes from all the major faith traditions as well as quotes and poems from Patricia Lynn Reilly, Virginia Woolf, Rumi, bell hooks, Georgia O'Keefe, Z. Budapest, Sojourner Truth, Gloria Steinem, Carol P. Christ, Rita Mae Brown, Alice Walker, Sue Monk Kidd, June Jordan, Judy Chicago and many more! I am posting this book review as it is from a Dad! 5.0 out of 5 stars Desiderata I purchased this for my teenage daughter as a gift. What an honor it is as her father to be able to give her something so glorious. So transformative. So stunningly beautiful. I want to thank the authors for allowing me to show my daughter how I value and cherish the sacred power she carries within herself. A loving tribute to Mother Earth and a call to action for children, their parents and grandparents. 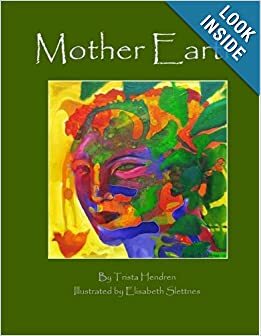 This book contains gorgeous illustrations by Elisabeth Slettnes as well as inspiring quotes from Vandana Shiva, Raffi Cavoukian, Sue Monk Kidd, Rachel Carson, Ralph Waldo Emerson, Alice Walker, Winona LaDuke, Llewellyn Vaughn-Lee, Molly The Tao Te Ching, Ursula K. Le Guin, Buddha, Starhawk, Audre Lorde, His Holiness the Dalai Lama, Arundhati Roy, Dr. Jane Goodall and many more. This is a great book for anyone!! It really captures the spirit of the feminine in spirituality, as well as the feminine and spiritual connection to the Earth and environmentalism. The illustrations are just gorgeous!